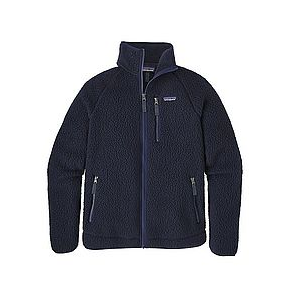 I've got a new favorite fleece jacket in this offering from Patagonia. Being an outdoors professional, my gear has to perform, whatever the selling price was, or it gets tossed in a corner (or sold on ebay!) 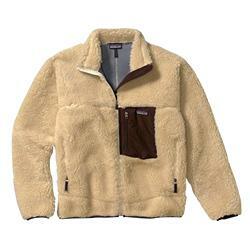 My previous favorite fleece, my 10yr old TNF Denali spent most of this past winter hanging in my closet. 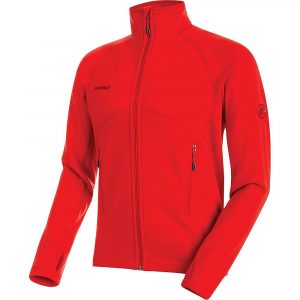 This jacket is extremely effective in blocking the wind and keeping the heat in. When things get wet, adding a rain shell over it does the trick. My ONLY gripe against it (and what kept it from scoring 5 stars) is that it doesn't have a drawcord at the waist to keep the wind out. I've worn it with a t-shirt underneath in single digit temperatures, and the lack of that drawcord was the only route the cold could find in. I'm even thinking of adding a drawcord myself (helps to have a wife that sews!). Just the warm fuzzy jacket you have always dreamed of owning. 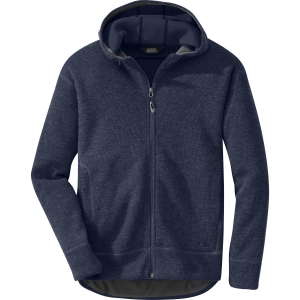 One half inch thick fleece with a windproof barrier keeping you toasty and cozy in the winter. Well, it appears that way in the picture. In reality, it looks like a bathroom mat. When you look at the furry fleece, you can see the fabric that the fleece fur is attached to. 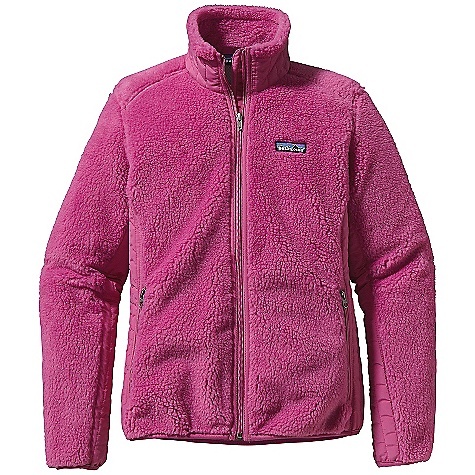 The fleece looks like something in a cheap look-a-like product. It is not something you would expect from Patagonia. It is obvious that the product would not hold up and that the fleece would become tangled and knotted, matted and flattened. The other part of the problem is that Patagonia does not seem to understand that there are people out there that need Tall/Long garments. I am 6'2" tall and 172 pounds. The sleeves on this jacket should have been an inch or inch and one half longer and the torso two or three inches longer. The actual chest measurement of the large size was 54 inches around. I guess I am really disappointed. At least Patagonia picked up the return shipping charges. The Retro-X Shag Jacket has been discontinued. 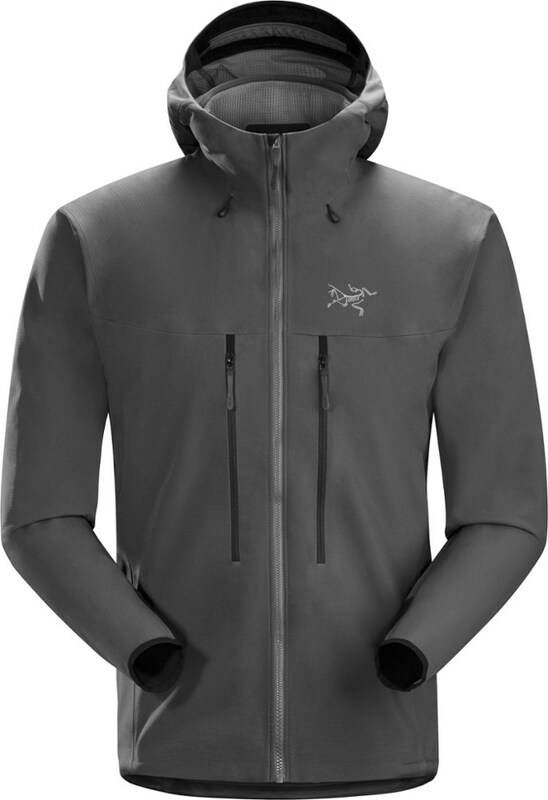 The Patagonia Retro-X Shag Jacket is not available from the stores we monitor. 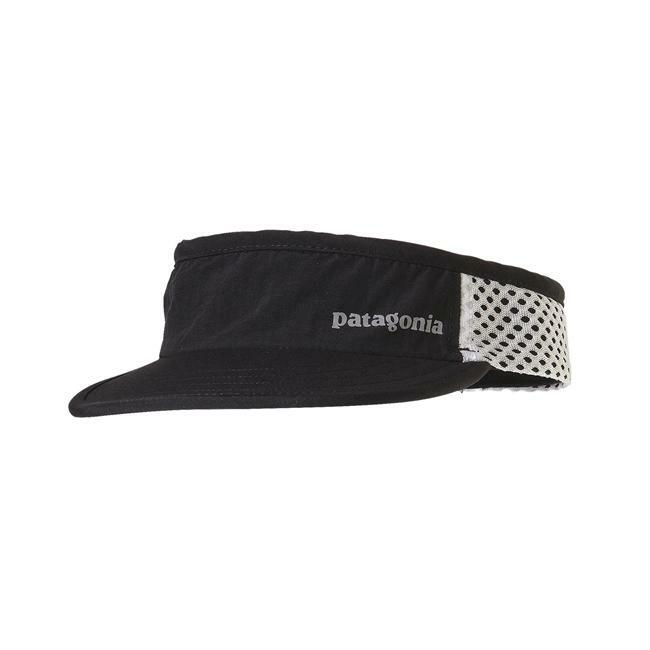 It was last seen May 9, 2008	at Patagonia.com.